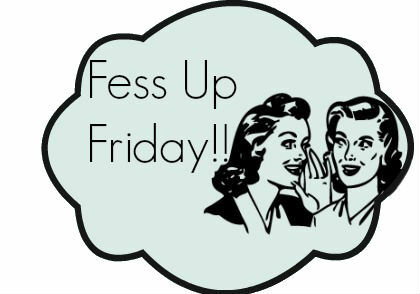 Okies Fess Up Friday time is here again. Sorry if the site still looks wonky, we are working on getting it perfect and it’s almost there! Things have been super busy lately and Tuesday Dean had a doctor’s appointment and holy cow it’s a good thing we know two of the nurses or I don’t think we would have gotten anything accomplished. Dean is terrified of loud noises and there was a construction crew right outside the door to get in and they were using a jackhammer, so at this point, Dean wouldn’t even cross the parking lot so I knew I was in for a hell of a day. We get in there and he is already fussing “Leave me alone, I want to go home, I don’t need to be at the doctors” and all that jazz. 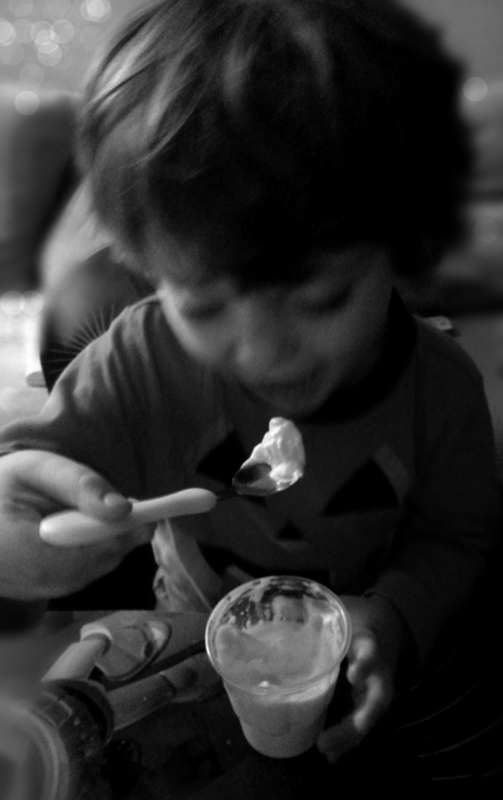 The only way I got him even in the building was the promise of ice cream. He needed to be weighed and measured and instead he was sitting on the floor crying “no, no, no, no, no” and I’m like having that mom moment where I can’t believe this is happening and you know you can’t say anything to him without him screaming and making an even bigger scene. So we are reasoning with him and somehow something snapped and he was on his feet and was like “I want to see my numbers.” Pshew hurdle #1 cleared. We finallllllly get him in the exam room and thankfully they were running late because it took me foooorever to get his clothes off, all while he is repeating “Leave me alone, I want to go home” again -_- Couple more promises of ice cream. He finally calms down and is hanging out on the floor playing with toys and the doctor comes in and he is cool with it, she introduces herself as and he decides to call her Susie which is no where near her real name, and he calls her that the whole time. Check up goes well, he is perfect weight, a little on the tall side, he did hit the doctor a little too hard when she was letting him use the reflex hammer on her, but besides that we are golden. He did say “What the hell” once while there but it could have been worse lol! Then the part came that every mom hates, watching your baby get shots. He had no idea that they were coming which was good, and he had to have the finger stick (that makes me cry like a baby when I get that lol) and he did perfect, I was shocked. He barely even flinched! I was thinking this is great, this is the reward for the awful hour and a half prior. Then he had to get a shot in each leg and we were done. They distracted him and did one shot and the other and oh my goodness did he scream. It hurt him so bad and he was crying so hard. He came straight to me and was so upset I don’t know how I didn’t cry lol. It was over, we could go home and he could have his ice cream. We get in the car and he is asking for ice cream and we are on our way when he pulls off the really bloody bandaid from his poor finger, looks at it and freaks out “Ow Ow Ow Ow my finger really hurts” and cue the crying again. More ice cream promises and he calms down. We go to McDonald’s and get him a happy meal (yes I got him a happy meal, it had been a long day and sometimes french fries make it better, you know it’s true) and lunch for my sister who also had shots that day. Were halfway home, almost there and we realize we forgot the damn ice cream. We get in the house and they had forgotten my sister’s sandwich so my mom (GiGi) went back to get her sandwich and the ice cream. He ate every last bite of it. He deserved and I deserved a nap lol. That was a very tiring day. Annnnd they forgot to test for lead so we have to go back for another finger prick, kill me, kill me now. So that was our week and now for my fess up. 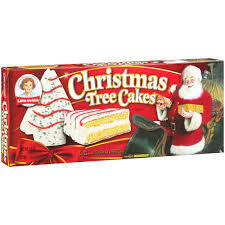 Oh and apparently I got a little carried away with the Christmas spirit this week and ate a whole box of those Little Debbie Christmas Tree cakes, I mean there is only like 5 in a box so it was like only 1 a day………..
Come on ladies what is your Fess Up this week? I might have had a jimmy deans sausage egg and cheese yesterday… And I might have washed it down with an Omaha Steaks Caramel Apple Tartlet… that had ice cream… That might have happened. Your kid sounds hysterical! I’m sure he and my son would get along just fine! Whoa. You ate a whole box of the Christmas cakes and didn’t save one for me? I think I have also solved the mystery of my Zebra cakes.